How do you dress up a sports band? 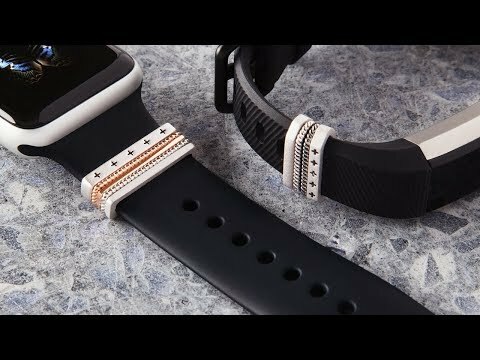 Fitness tracker jewelry. Add a subtle touch of rose, gold, or silver to your Apple Watch sport band and it’ll enhance—rather than detract from—your look. Dimensions: 0.25" x 0.88" x 0.19"
I like it so much that I ordered one for my daughter-in-law, she loves it too!! Adds just a little bling to the watch!! I really like making my watch just a little different. Would love more options and mix-match sets. 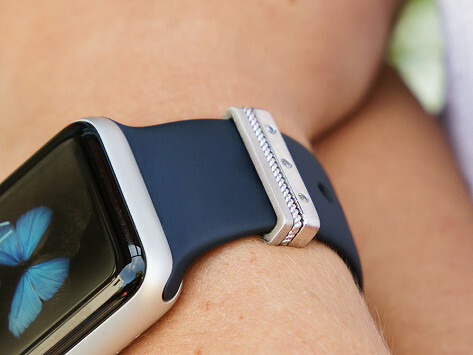 Dress up your tech to give your fitness sense a sense of style.